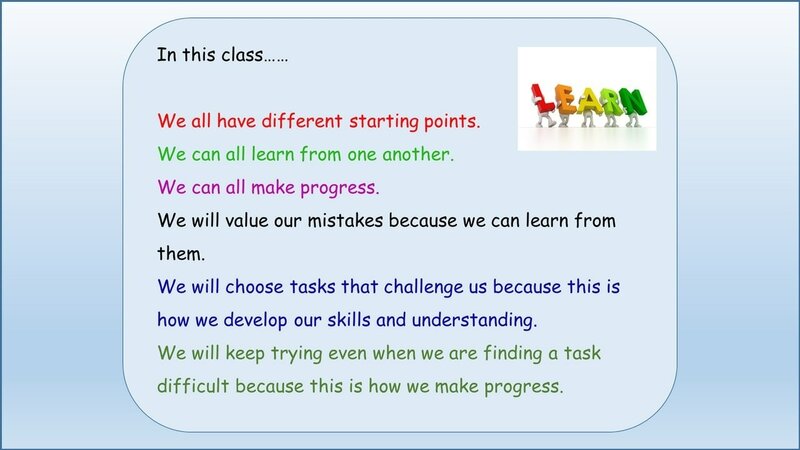 This website has been created to enable teachers of mixed-attainment maths classes to share resources and ideas. Mixed attainment classrooms are a demonstration of social justice and enable children to learn without limits. Labelling children and setting them according to some notion of their (fixed) ‘ability’ places limits on learning. 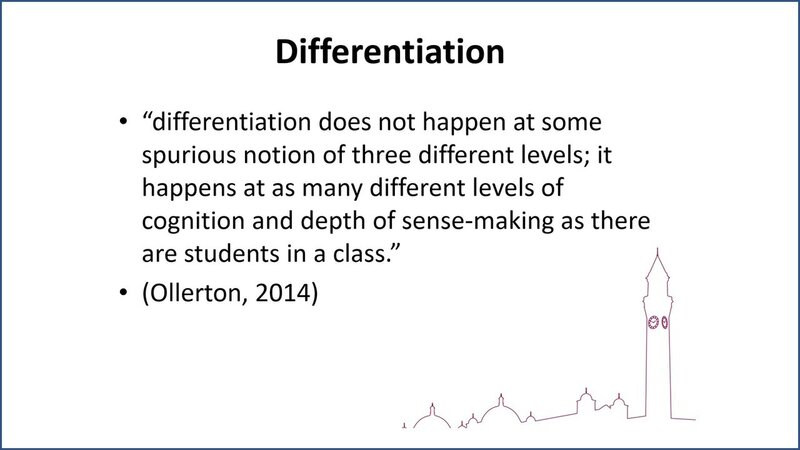 To promote and support mixed attainment teaching in mathematics classrooms. 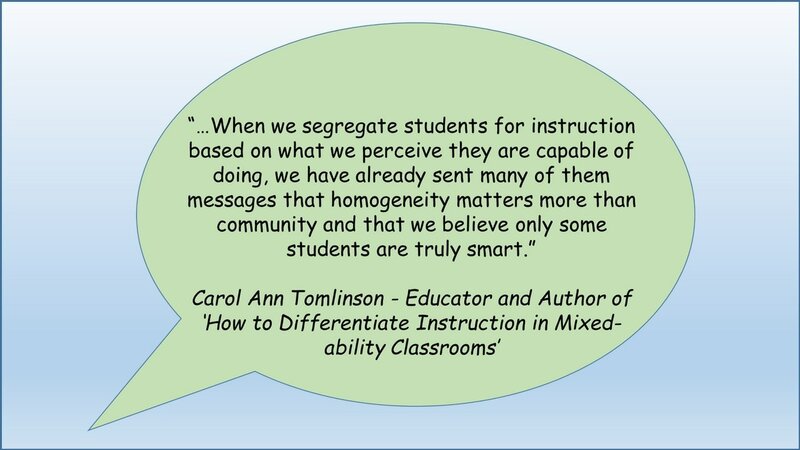 To form a community of teachers who share a common belief in mixed attainment teaching in mathematics classrooms. 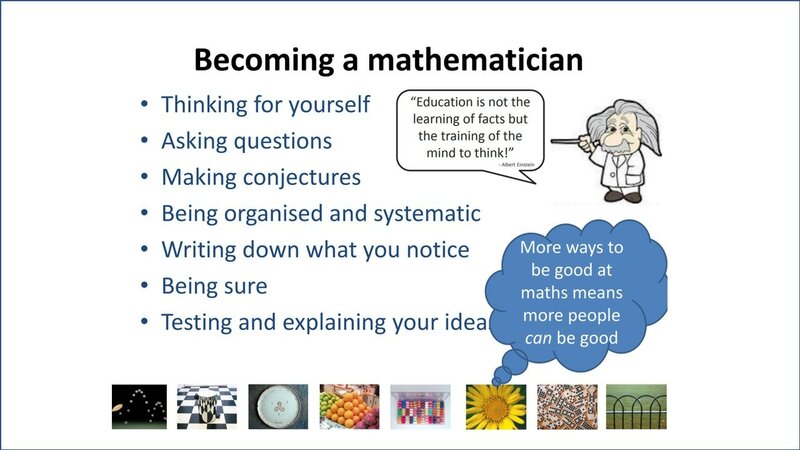 To develop this website to provide resources, advice, research and discussion about mixed attainment teaching in mathematics classrooms. 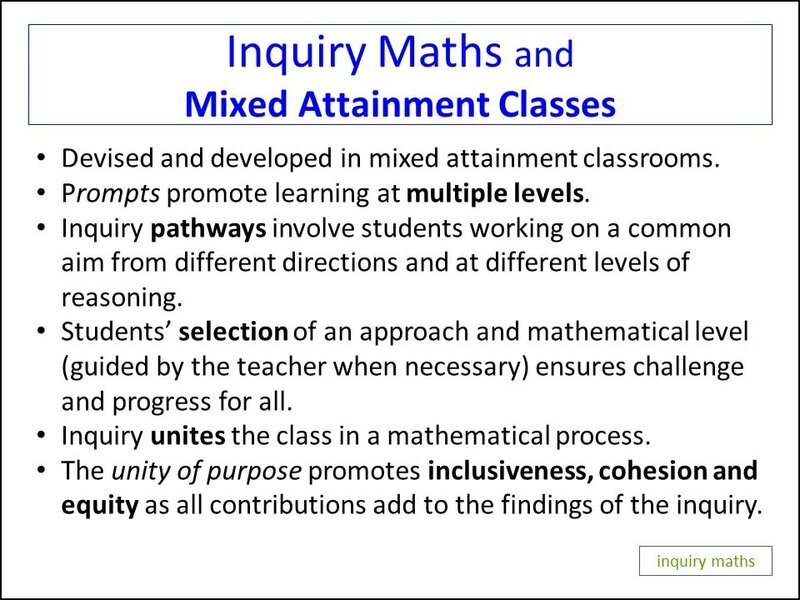 Collaborating with any organisation or individual that supports mixed attainment teaching in mathematics classroom and who offers that support without cost or without the intention of making a profit. ​What every teacher needs to know about setting- Professor Becky Francis talks to Tes Podagogy. "The international research is very clear that overall there is no positive impact of setting and streaming on young people's attainment says Professor Becky Francis, director of UCL Institute of Education.